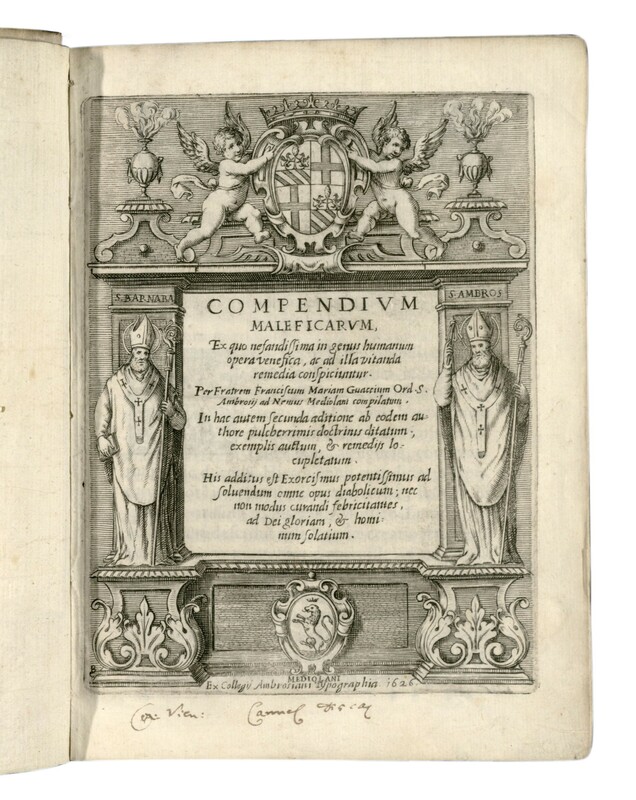 For the second of three posts, we’re sharing images from Francesco Maria Guazzo’s Compendium Maleficarum (1626). This book, a guide to hunting witches, was part of a larger acquisition to the Law School library in 1930 from Döbling Carmelite Monastery in Vienna, Austria. Most of the books in that collection pertain to Roman and canon law, making this volume on witchcraft a surprising find. 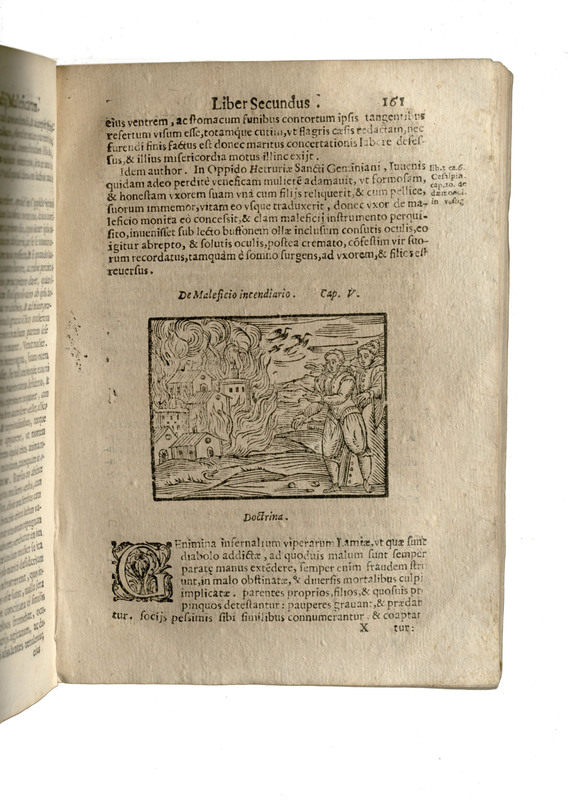 Divided into three books, the Compendium Malificarum sprinkles woodcut illustrations throughout its examples of witchcraft and corresponding Catholic doctrine (which explains its inclusion in a monastery library). 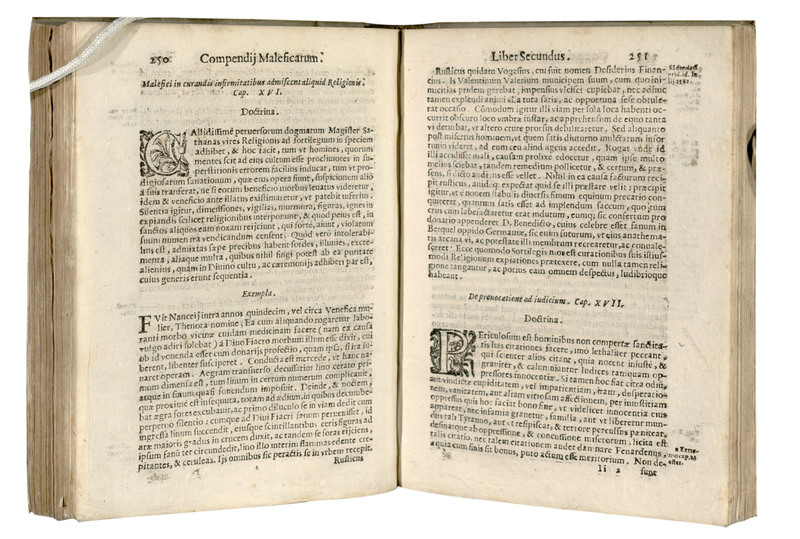 Legally, it seems reasonable to assume that, like the Malleus Malificarum, its famous literary predecessor, this text may have been used by prosecutors in witch trials. One thing is certain: if your house is set on fire by witches, you’re going to need a good attorney. For more information, or if you’d like to see the original, please contact the Special Collections, Digitization, and Archival Services Librarian at Brittany.Adams@law.northwestern.edu.